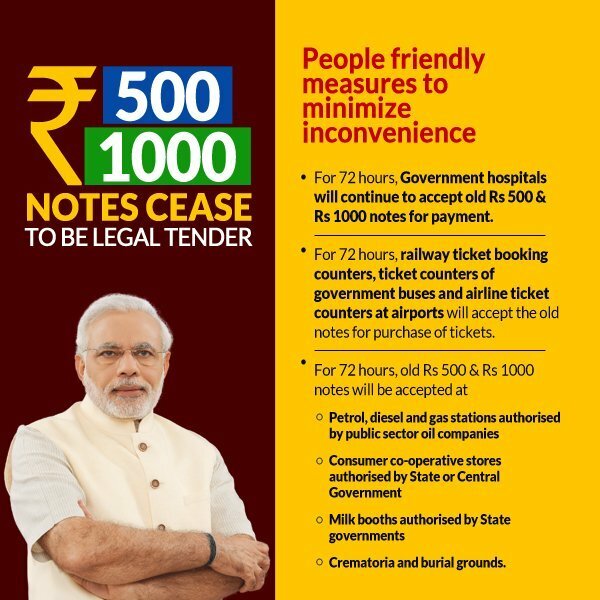 Indian currency note Rs 500 and Rs 1000 is banned. This two type of currency note will have no value from 9th November 2016. But, don’t get panic. Only old currency note is banned and new is on the way with more advanced features to fight corruption. So, what to do next? with those old currency note. On 9th November, 2016 and in some places on 10th November, 2016 also, ATMs will not work. In the first few days, there will be a limit of Rs. 2000/- per day per card. Here is what you can do next? Deposit your Rs 500 and Rs 1000 in any Banks and head post office or sub post office – in which you have account – without any limit. 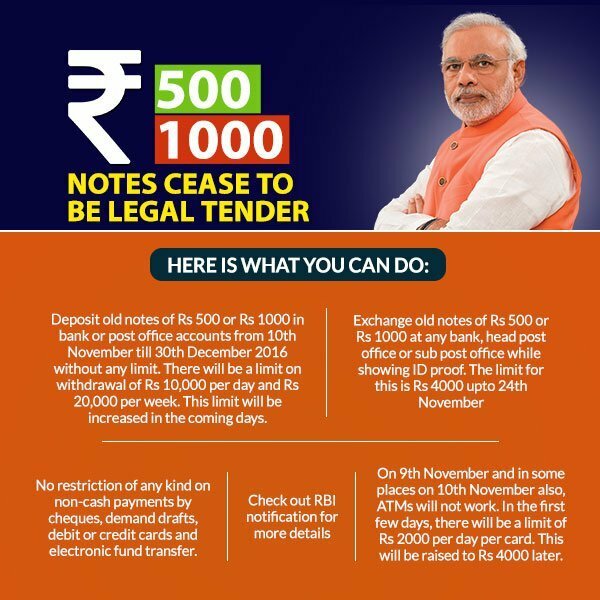 – From 10th November till 30th December 2016.
while depositing notes show your identity proof like Aadhaar card, voter card, ration card, passport, PAN card or other approved proofs, and exchange your old five hundred or thousand rupee notes for new notes. From 10th November till 24th November the limit for such exchange will be Rs 4000/-. From 25th November till 30th December, the limit will be increased. If you fail to deposit banned notes by 30th December – they can go to specified offices of the Reserve Bank of India up to 31st March 2017 and deposit the notes after submitting a declaration form. Disclaimer: The above information is taken from link.